I'm keeping it short and sweet this month so that you don't feel overwhelmed with new ideas after coming back from a nice, relaxing Christmas break! This is a site I'm sure I would enjoy, but I'm having trouble with the internal microphone on my laptop (possibly a future blog post...). In the meantime, I'll share this with you in hopes you will find it useful for classroom noise-level management. If you're not yet on the Pinterest bandwagon, I would jokingly say to you "RUN! DON'T DO IT!" It can be a serious time waster, or if you're like me, you might get really overwhelmed with all the projects you just HAVE to complete this weekend. But, I will also say that I've found some seriously amazing teaching ideas on Pinterest. I have many boards that I've created solely for teaching. If you sign up for a free account, you can search any topic you're interested in: Classroom Management, macaroni noodle crafts... you name it, and somebody has probably pinned it. In these videos, you are shown how to schedule and accept or decline meetings. The first tutorial explains how to create a meeting request. What I found most helpful was how to send a meeting request to people without a School District e-mail address. In this second video, you are shown what to do when you receive a meeting request. What will you look like when you’re old? And what about your friends? 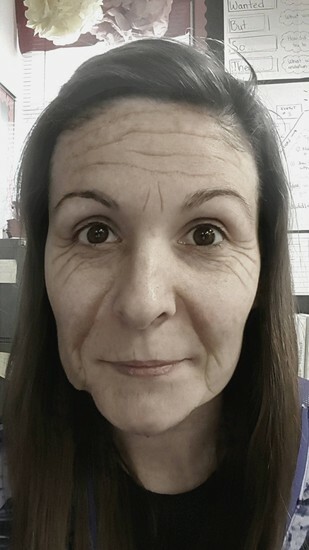 AgingBooth is an easy to use and amazing face aging machine on your Android or Apple device. AgingBooth is a funny (or scary!) way to instantly age face photos. I just searched "Aging Booth in the Classroom" on Pinterest, and found some fun ideas! One teacher uses it on the 100th day of school and has her students write about life at 100 years old. What ideas do you have for using this fun tool to teach standards in a new, engaging way? I'm pretty cute, don't you think?